Recently formed, Telangana is now one of the 29 states of India. Earlier a part of Andhra Pradesh, Telangana has now achieved separate statehood with Hyderabad as its capital city. While you must be in a dilemma thinking about what Telangana has to offer as a tourist destination, we must tell you that though the state is newly formed, but it strongly holds the rich culture and history of India. The state offers endless opportunities for a passionate traveler who wishes to explore. The best way to get an insight of the culture of the state is to be a part of its history that it has preserved in its heritage hotels and monuments. 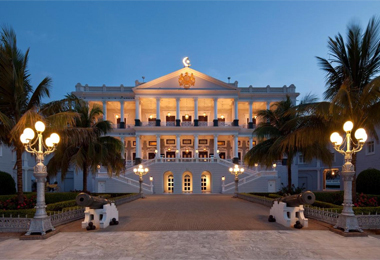 Taj Falaknuma Palace is a five-star heritage hotel that takes you back to the time of the Nizams. The hotel makes you enjoy a lavish stay just like royalty. World-class facilities and outstanding hospitality make it the perfect accommodation.